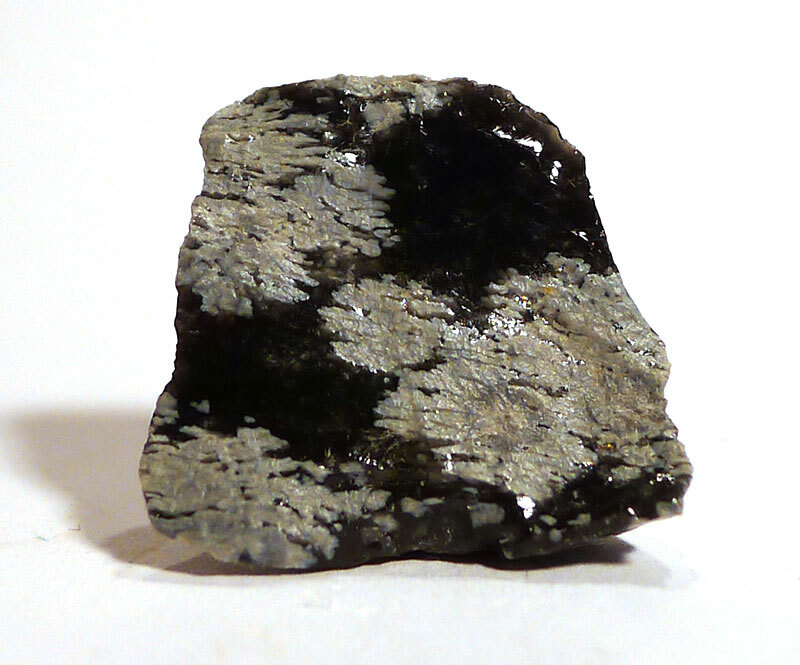 Obsidian is a volcanic glass, a mixture of cryptocrystalline grains of silica minerals held in a glass-like suspension – in other words, a super-cooled liquid, formed near the end of a volcanic eruption, when water and most of the other elements have already been ejected, leaving mainly silica, which then cools too quickly to crystallise. 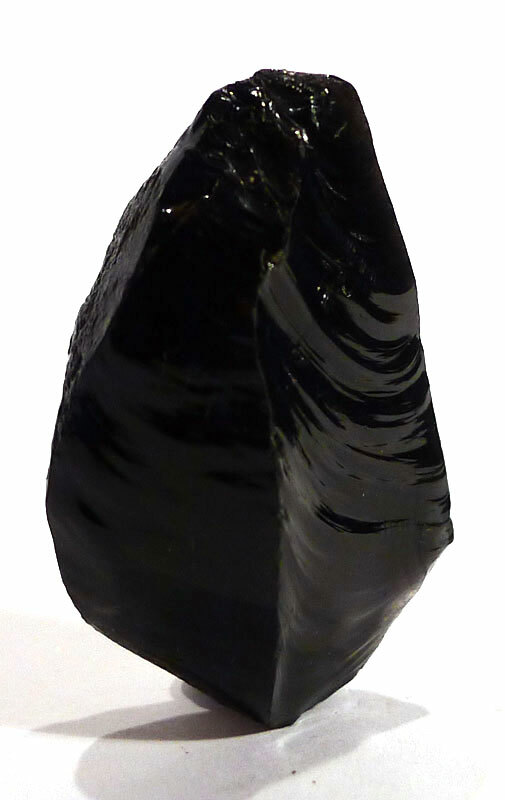 Most obsidian is, by geological standards, fairly young, as it has a tendency to devitrify over time, and minerals begin to crystallise out. 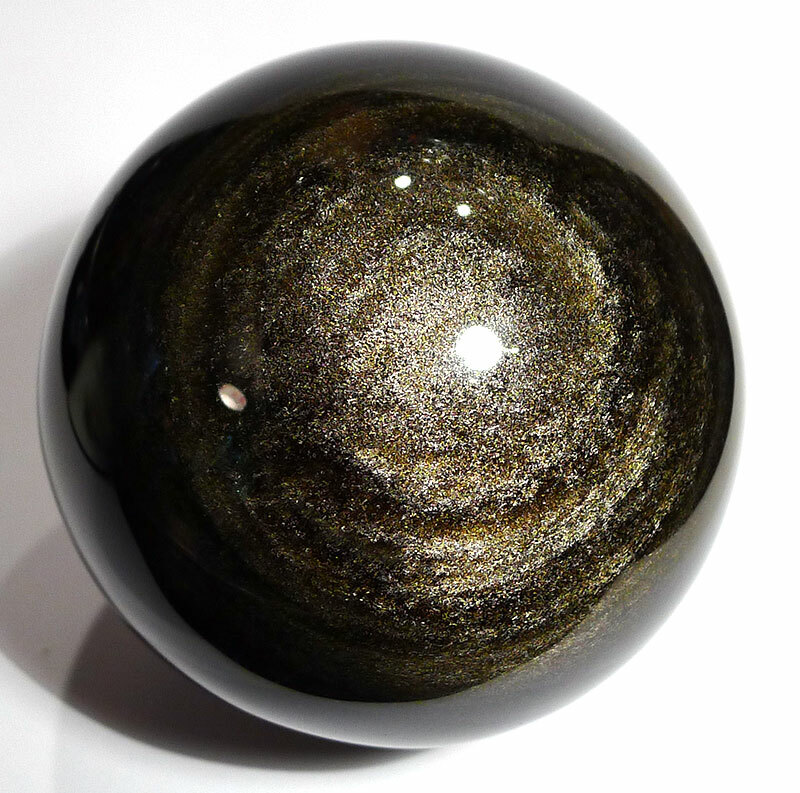 Properties: Obsidian represents the potential we are born with, in suspension, before it begins to crystallise. 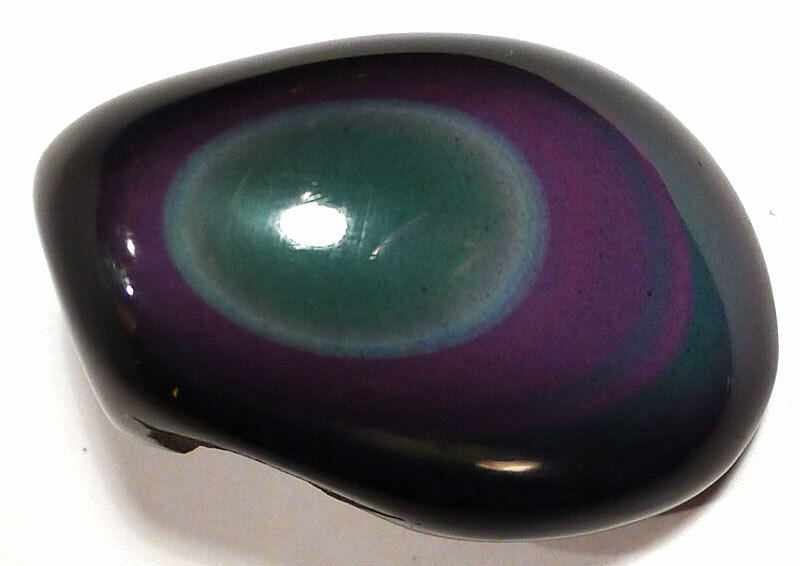 All obsidians ground and protect, root spiritual energy, and dissolve shock, fear, pain & energy blocks. 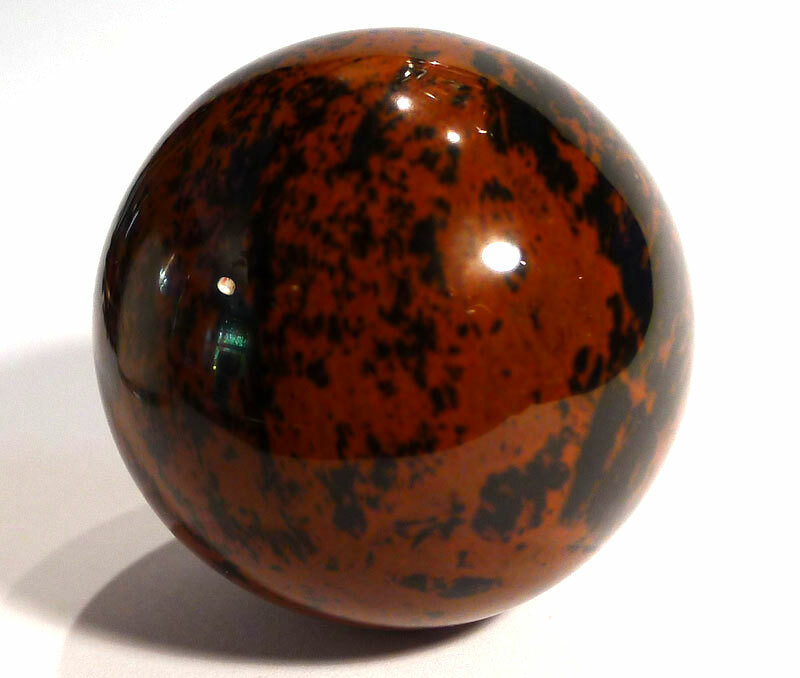 Obsidian aids inner reflection, and helps us to release addiction and unhealthy behaviour patterns. It enables us to gain integrity by allowing us to see and accept our Shadow Side in its true nature, thereby empowering us to become balanced and whole. 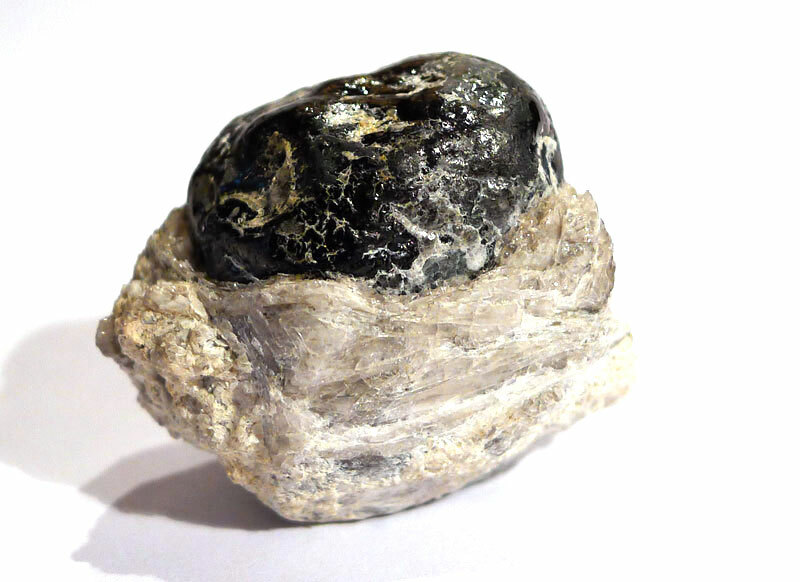 It is also useful in scrying (crystal gazing).